The release of the Health Market Inquiry’s findings, subsequent drive to uniform tariffs, imminent NHI rollout, consolidation of medical aids and rise of medical inflation could culminate in a perfect storm for the healthcare sector. The release of the findings of the Competition Commission’s Health Market Inquiry (HMI) and consequent drive to uniform tariffs, the imminent National Health Insurance (NHI) rollout, continued consolidation of medical aids, and the inextricable rise of medical inflation could culminate in a perfect storm for the healthcare sector. Anxiety about the government’s National Health Insurance (NHI) programme, particularly its mode of funding, has left investors worried. With National Health Insurance (NHI), the Health Market Inquiry (HMI), blockchain, venture capital, innovation in health financing, health delivery, and medical devices, what will SA’s new healthcare landscape look like? This was the focus at the Healthcare Industry Updates and Innovation Conference held in Johannesburg recently. “Having divided the SA population into five sectors based on income, employment, and medical scheme coverage, “in the rollout of NHI we will start with the most vulnerable groups and progressively include sectors,” said Dr Pillay. Attendees hoping for an update of what NHI is going to cost SA were left disappointed. 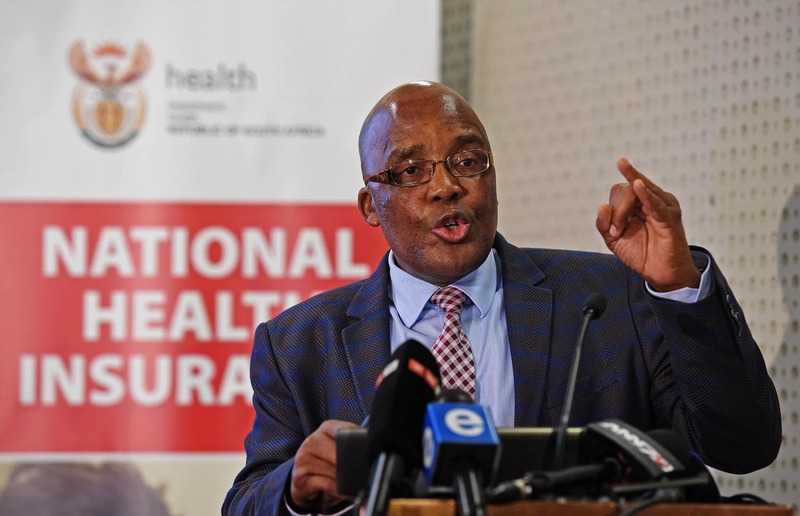 Despite the fact the projected R256bn in the 2025 figure provided in the 2017 white paper is a 2010 figure, which is badly outdated and entirely unrealistic – and even Dr Motsoaledi has admitted government ‘made a mistake with the figures’ – when it came to addressing the cost of NHI and where the money will come from, Dr Pillay deferred to the problematic R256bn budget and discussed alternative tax scenarios to fund a R71.9bn (2010 prices) NHI funding shortfall. Dr Pillay faced a gruelling round of questions covering everything from how NHI is possible when pilot sites have performed so dismally, and how illegal immigrants’ medical costs will be paid, to contradictions between HPCSA rules and governments’ new policies, and the problem of staff shortages, lack of equipment, and the questionable state of many facilities in the public healthcare sector. Dr Anchen Laubscher (Netcare Limited medical director), Adam Pyle (Life Healthcare SA CEO), Dr Ryan Noach (Discovery Health deputy CEO), Dr Katlego Mothudi (Board of Healthcare Funders of Southern Africa managing director), and Dr Ntuthuko Bhengu (HMI panel member and health sector specialist), none of whom held any punches. When it comes to pharmaceuticals, Gavin Bauer (Sanofi SA head of market access) believes there is a lot of opportunity in NHI. “Government has been quite accommodating towards our industry and companies. With regard to pricing of drugs, it’s going to be an evolution not a revolution.” He did however caution the importance of prices not being forced so low that it’s no longer financially viable to make as this will result in medicine shortages.